Google offers performance information for G Suite services (Gmail, Calendar, Talk, Drive, Docs, Sheets, Slides, Sites, Groups, Admin Console, Hangouts, Vault, Google+, Forms, Cloud Search, Keep, Analytics, Maps, Voice, Blogger, Sync for Mobile, Classroom, Realtime API). The Google Ads Status Dashboard page offers info for all of your Google Ads products (DoubleClick Planning, Studio, Campaign Manager, Ad Exchange, Bid Manager, Digital Marketing Reporting, Search, Publishers, Sales Managers, AdWords, AdMob and AdSense). What caught my attention with ScribbleLive was the interactive pinboard for aggregating social media posts into a website. 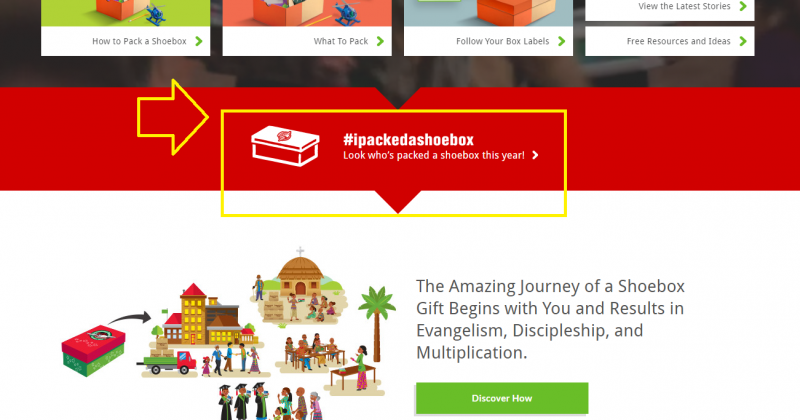 One example is how Operation Christmas Child is offering users the opportunity to create a post with their hashtag #ipackedashoebox, then displaying the latest posts in a page on their website. See the image below. Click here for the WordPress plugin. 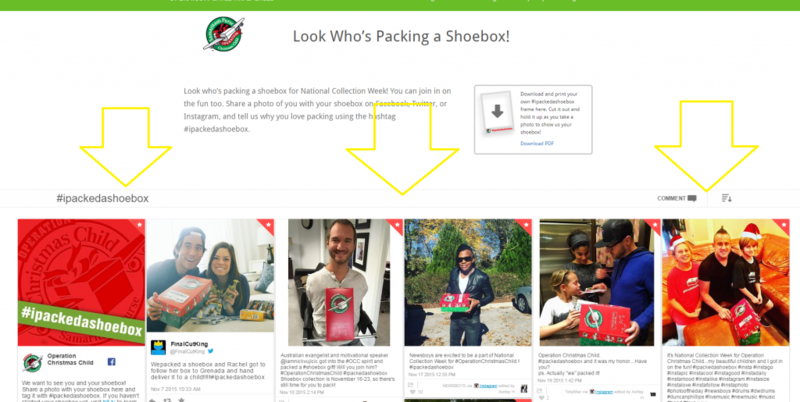 ScribbleLive offers way more than just the aggregated hashtag social media posts feature. ScribbleLive’s all-in-one content marketing platform combines predictive analytics with content planning, creation, and distribution to deliver optimized business results. The platform’s strengths include real-time content publishing, discovery of high impact articles and opinions, influencer analysis, social curation and moderation, content-centric analytics, and unique interactive experiences from pinboards to timelines and polls. Learn more. 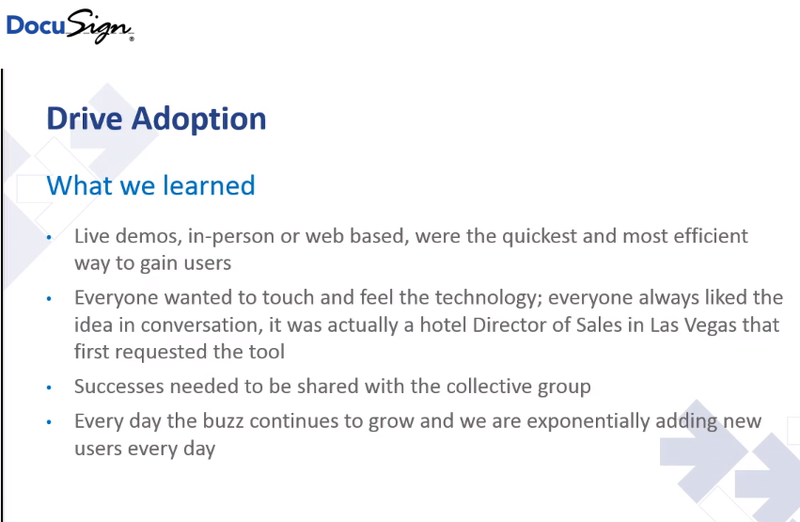 Fun learning stuff today as I watched the Momentum 2016 SMB Customer Spotlight: How App Annie and Hotel Planner Drive Efficiency with DocuSign webinar. 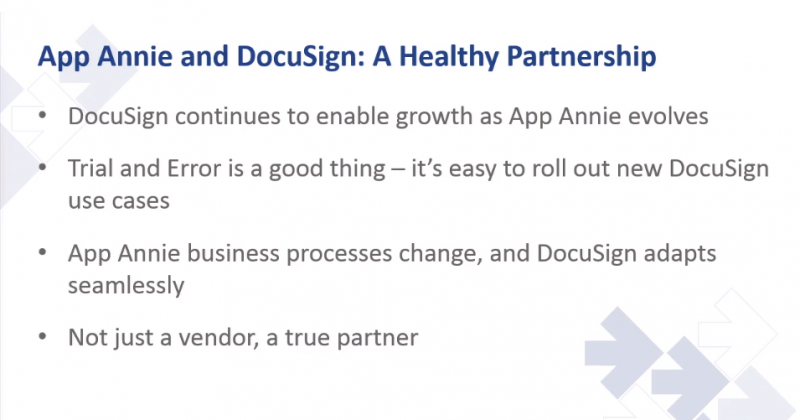 Docusign implementation for App Annie (delivers data and insights to succeed in the app economy) and Hotel Planner has scaled with their business and improved efficiency. Click here to watch. It is expected that paper contracts (in the hotel industry) will be mostly replaced by digital within 5 years. Launch Plan Idea – Initial release. Educate internally. Educate clients. Launch to clients. Is Scala a More Efficient Programming Language? Recently I’ve heard more mention of Scala in programming realms that it could become a better standard for programming languages. It seems they are gaining popularity. According to their website, Twitter, LinkedIn and Intel are using Scala with their systems. 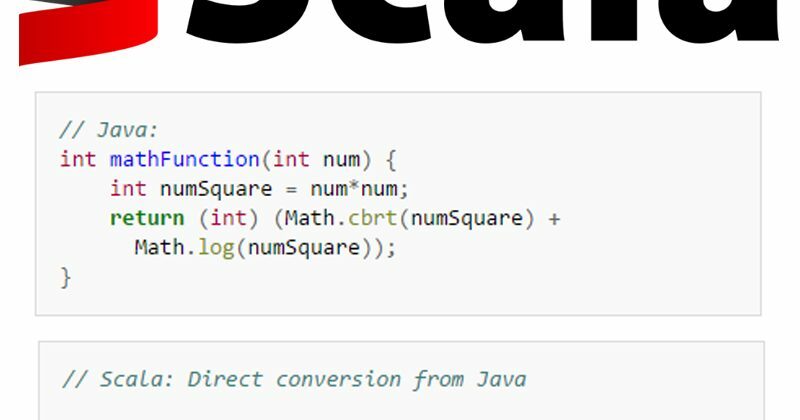 It’s goal is to create a more efficient programming language. The programming language name is a blend of the words “scalable” and “language”. Martin Odersky began developing Scala in 2001. The first version of Scala was introduced to the public in 2004. The second version released in 2006. The current version is 2.11.8. Click here to visit the Scala website and learn more. Click here to read more at Wikipedia. In case you aren’t familiar with these abbreviations, get to know AR, AI and VR. These along with connectivity are the focus of Facebook’s 10-year plan which was revealed by Mark Zuckerberg at the developer’s conference, F8. AR – augmented reality – a live direct or indirect view of a physical, real-world environment whose elements are augmented (or supplemented) by computer-generated sensory input such as sound, video, graphics or GPS data (read more at Wikipedia). 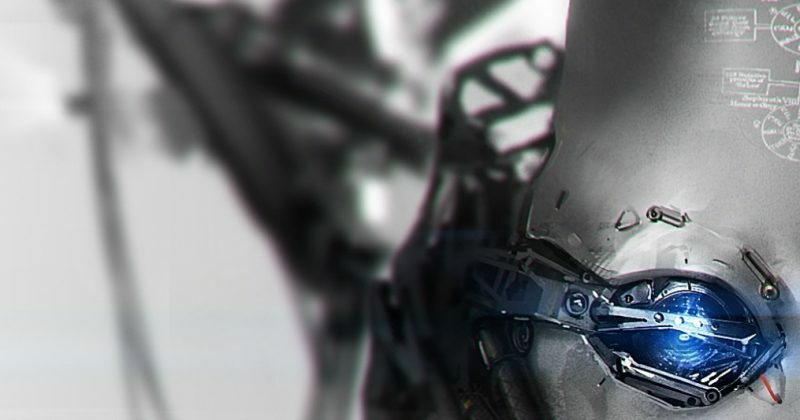 AI – artificial intelligence – the intelligence exhibited by machines or software and how they are capable of thought and behaviors. (read more at Wikipedia). VR – virtual reality – a computer technology that replicates an environment, real or imagined, and simulates a user’s physical presence and environment in a way that allows the user to interact with it. (read more at Wikipedia). Facebook’s goal is giving people the tools so that they can share anything they want with anyone, while offering the technology to capture an idea or experience in it’s purest form. How has sharing evolved through time and how will it look in the future? From text to voice to photo to video? Is the next logical step AR/VR/AI? Spock would probably agree. Facebook plans to offer apps for these types: One-To One, Small Groups, Friends, Community and World. Facebook created a 10-year road map for accomplishing their goals. How do they intend to travel this path? With Lee Majors as the captain of the RV? No, unfortunately The Six Million Dollar Man isn’t involved. However, through their “playbook “of technology, products and ecosystems, Facebook intends to go where no man has gone. Between Messenger and What’s App, people are sending about 60 billion messages a day. Compared to about 20 billion global SMS messages sent daily. Facebook announced Messenger Platform which is powered by AI. With this tool, brands can pipe stories into Messenger. CNN was the example used. 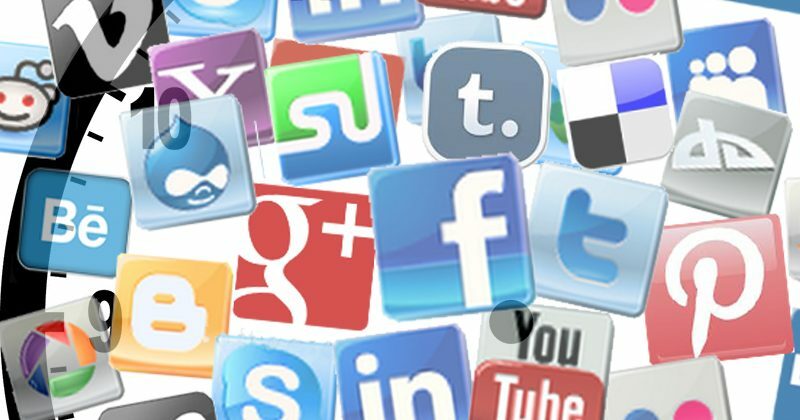 It looks like algorithms will be based on your use, so they can personalize the content. Users can send a message with a topic, then the company returns a message with related info. Facebook Live will become more prominent in the Facebook layout. The API for this tool is now available to developers. 3. Awareness – about 2 billion aren’t aware of the value to spend money on connecting. Solutions: Facebook is working on a fleet of solar-powered planes to beam down internet in unreachable areas. Also, Facebook satellites are being developed. In rural and urban areas, Facebook is boosting connectivity with tech systems. 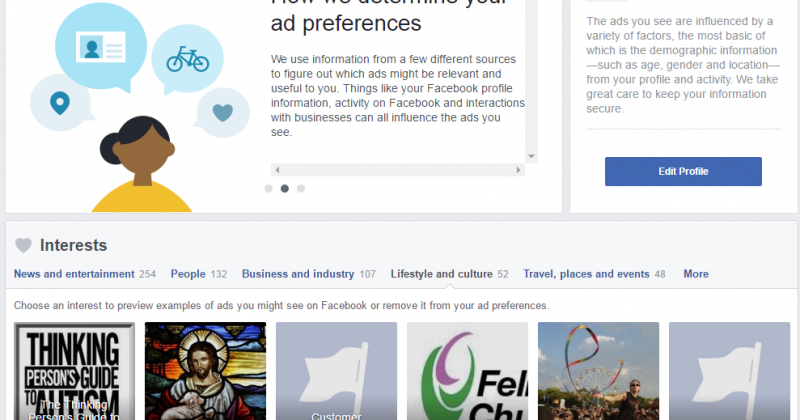 A lite version of Facebook is becoming available to offer options for consuming less data. They are working with providers to help lower cost. Free Basics is another initiative to offer services to those in need. Facebook is using AI in the Moments app for facial recognition. In Newsfeed, AI is utilized to tailor stories for users by looking at who their friends are and activity patterns. AI is helping Facebook improve processing and system performance. They are offering open source technology such as Torch modules and designs for GPU servers. Facebook is offering a line of VR and AR hardware. Click here to read more about Oculus. Practice patience and timing within your social media strategy and scheduling. The heart-warming video or gorgeous graphic that was just delivered may need to wait a few minutes or hours before sending it out to your followers. When is the best time to reach the maximum target group? Are they awake? Will they likely have their device in-hand? Where will they most likely be? Will the majority want to hear my message? The right message to share at the right time with the right audience. Line up those factors to consider when you will post your content. Visit Dan Zarrella’s website to learn more about his research on this topic.